Javier Núñez is a Drumset Instructor, Percussionist and Teaching Artist. For the last 10 years he has been designing curriculum and lesson plans to meet students’ diverse needs, develop their creativity and instruct them in the art of drumming and music. He has collaborated as a Teaching Artist with various organizations in Chicago, New Orleans and California: Music National Service, CAPE (Chicago Arts Partnership in Education), Urban Gateways, Segundo Ruiz Belvis Cultural Center, Young Audiences, KIDsmART, the Contemporary Art Center (CAC), ArtistCorps NOLA and Young Audiences (North California). In 2010 and 2011, Javier was nominated as a Teaching Artist of the Year in the music category by the 3Arts Organization (Chicago, IL). As a musician, Javier has been playing in groups with diverse music backgrounds for more than 20 years, from traditional music to rock and jazz in Puerto Rico, Chicago, New Orleans and the San Francisco Bay Area. He has shared the stage with artists such as Yomo Tomo and the great saxophonist Frank Catalano, among others. 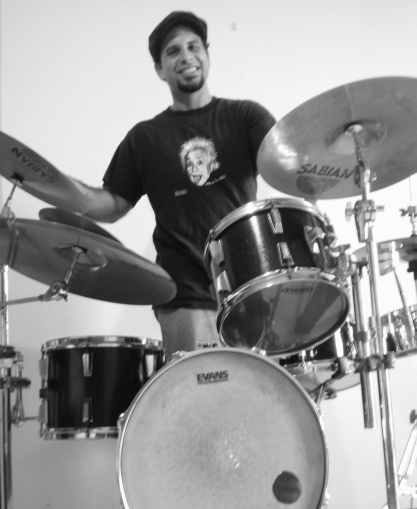 Javier earned a BA in Popular Music with a concentration in drumming at the Inter American University of Puerto Rico. He has also studied with several world-class drummers including Ernie Adams, Stanton Moor, and Jesus Diaz. He is a guest contributor for World Percussion and Rhythms Magazine. Among his articles are: Rhythms of Puerto Rico for Drumkit: Bomba and Plena Rhythm; Traditional Sounds for Contemporary Drummer; Glenn Kotche, Steve Reich and Quintillo Permutiations.